A great writer is hard to find. And to be honest, I need more than just a great writer. I need someone who can create content and market it. I need a genetically modified organism: I need a content marketing copywriter. Know any? Writing is hard. Really hard. If you don’t love writing it, nobody will love reading it. Speaking of reading, your passion for creating content should also include your passion for consuming content. Stephen King said, “If you don’t have time to read, you don’t have the time (or the tools) to write.” Did I mention writing is hard? You can craft the most compelling content. (And I hope you do.) But if the right people don’t see it, at the right time, in the right place, in the right format, for the right device, it’s unlikely that your content will drive any awareness. That’s why strategy always comes before tactics. What are your goals? Do you know the brand’s voice? Who is the target audience? What’s your competition have to say? Oh, and, what’s your strategy for managing all that content once it’s published? Yep, you need to know that too. Copywriting isn’t just about writing. Content marketing isn’t just about content. No matter where you work, if you’re a content creator, you must know how to optimize your words for responsive design, for SEO, for UX, for blogs, for social media, for paid media, and last, but definitely not least, for conversion. Am I being too picky? I don’t think so. Ask yourself: How important is content in emerging media? It’s vital. In an integrated marketing campaign, brands seek to leverage multiple channels. But in order to maximize your performance on any platform, you need the right message. Which of these “rules” do you like best? Least? Help me out, I have more interviews lined up. What would you add to the list? What a tremendous post, Laura. Great content is, indeed, essential to emerging media. And you need a great copywriter to help deliver great content. It’s just a great big order when it comes to hiring top talent. I happen to know someone who is crazy passionate about content and would love to work for someone like you. Hint: Her name rhymes with Lenny Mice. Happy searching! Thanks for the comment! You know I adore working with you. Still accepting applications BTW. You nailed it with this post. It’s hard enough to find good writers, let alone good writers who know how to optimize their content for today’s digital mediums. Thanks for sharing your insights. Thanks Andy! 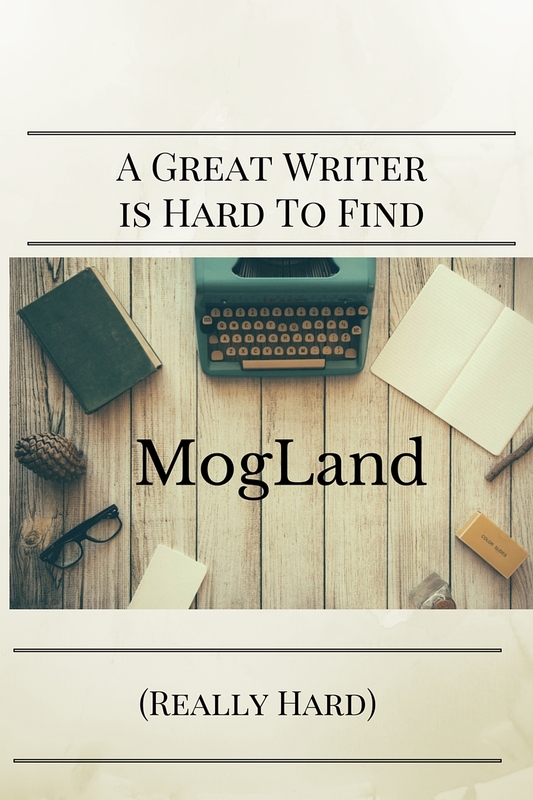 A great writer is definitely hard to find. If you’re lucky enough to work with any, treat them well. And by that I mean feed them cookies.